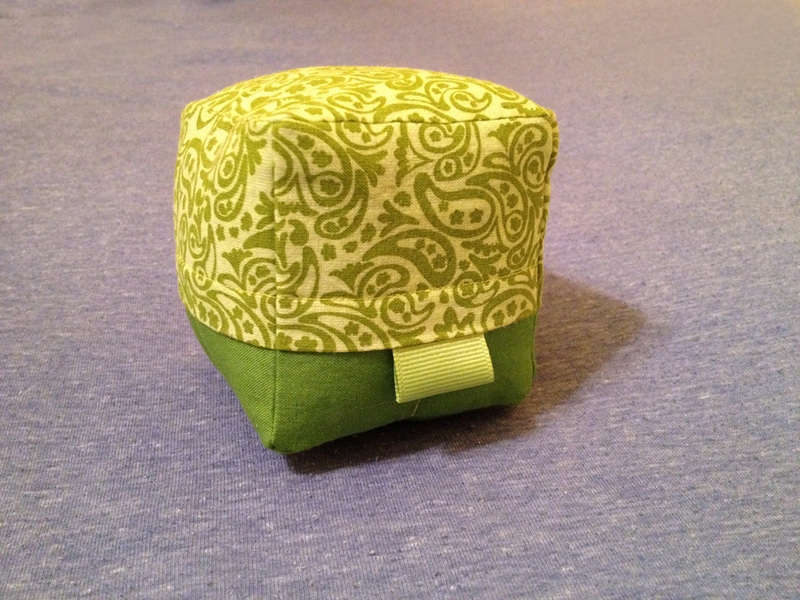 Meet our newest cubist animal, Inara the Turtle! 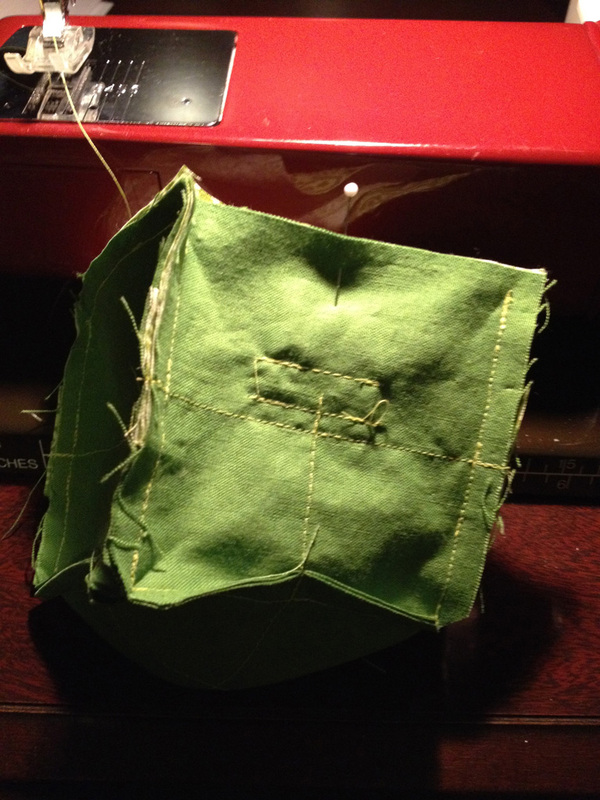 I took some pictures of the cubist animal construction this time to give you an idea of the process. 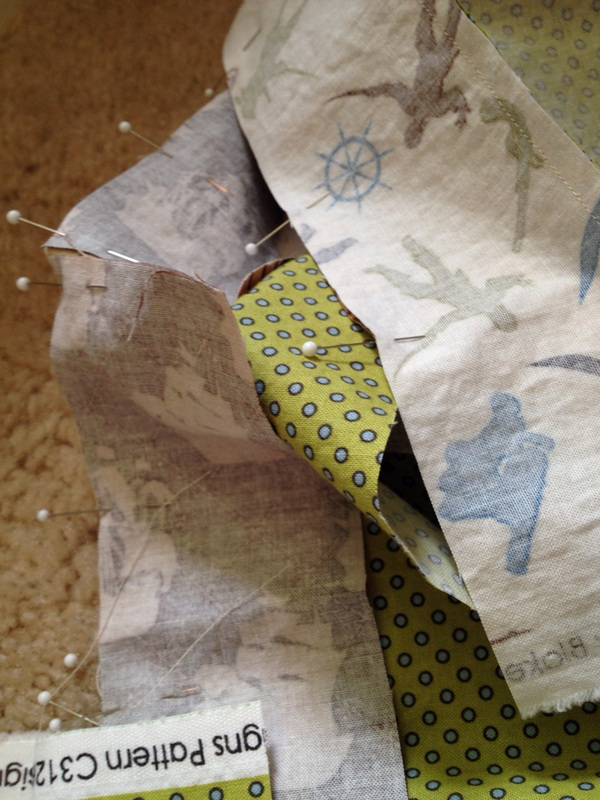 I tacked down the ribbon for the head and the tail really, really well. 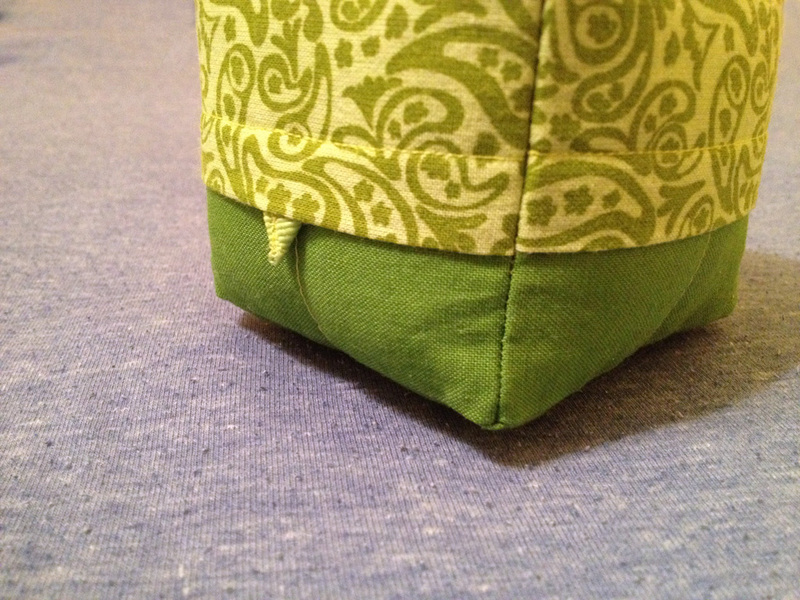 She can hide her head and tail under her shell! 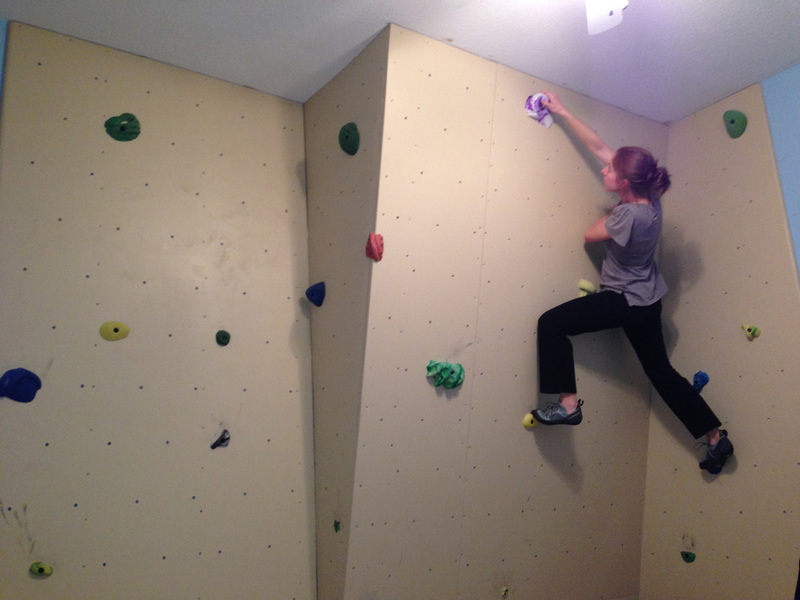 She prefers climbing to hiding. 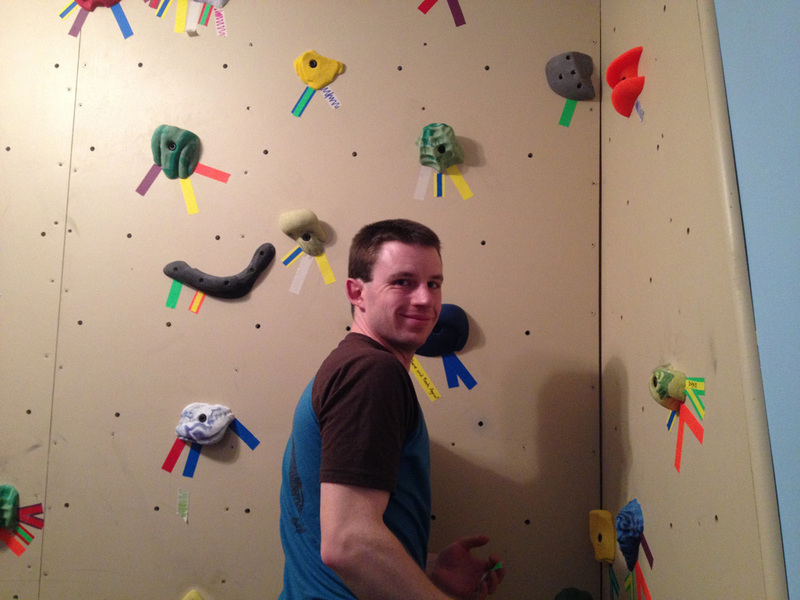 One of our favorite activities to do together is indoor rock climbing at a nearby gym. 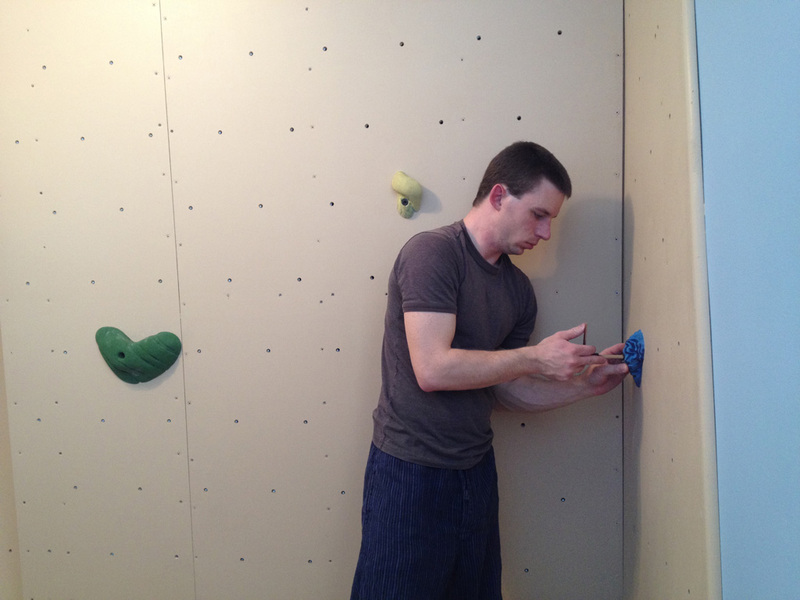 As we’ve gotten more and more involved in the activity in the past couple years, we decided we really wanted to be able to climb more often than traveling to the gym would allow. 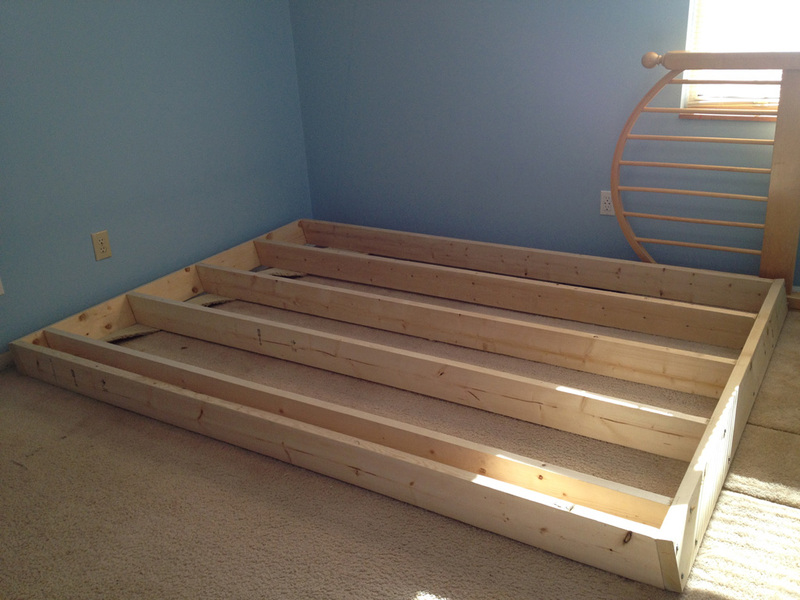 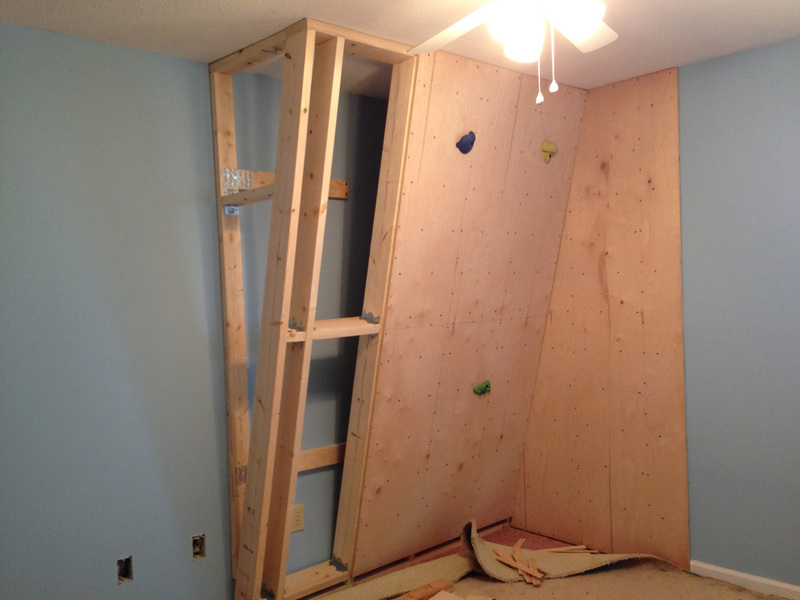 We decided to draw up plans for building our own rock climbing wall in the spare bedroom. 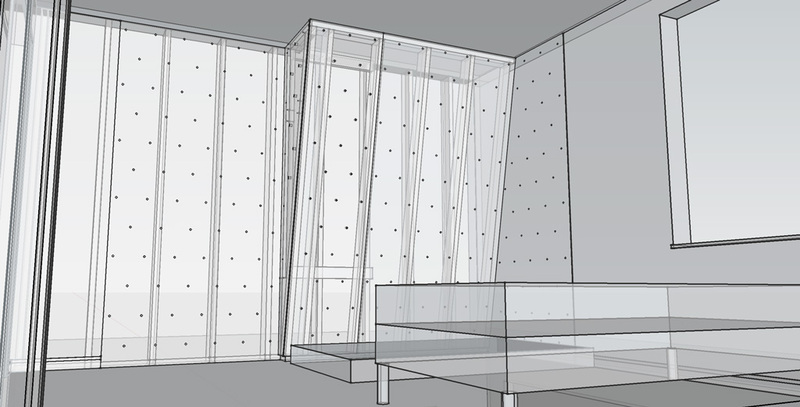 I’ve already created a scale model of our house in Google SketchUp, which really helps when planning home improvement projects. 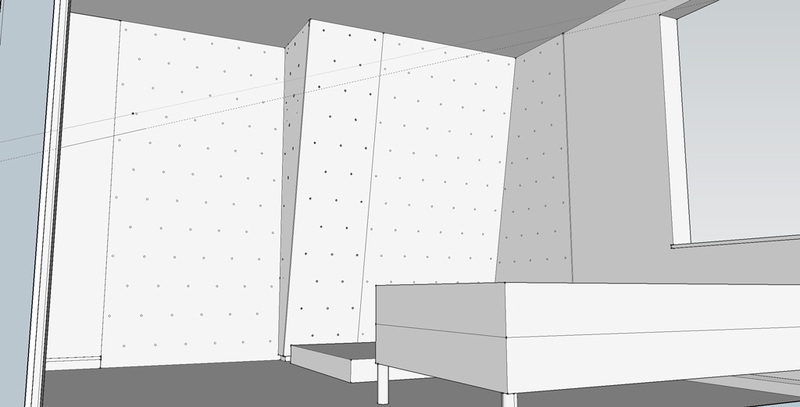 “Building” the wall in SketchUp helped us plan the project and calculate the expense. 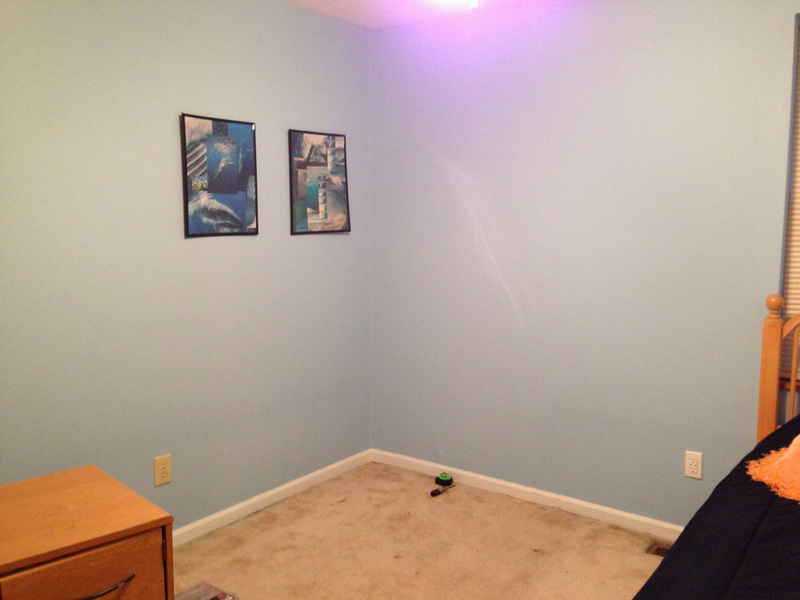 Here is where the wall is going to go. 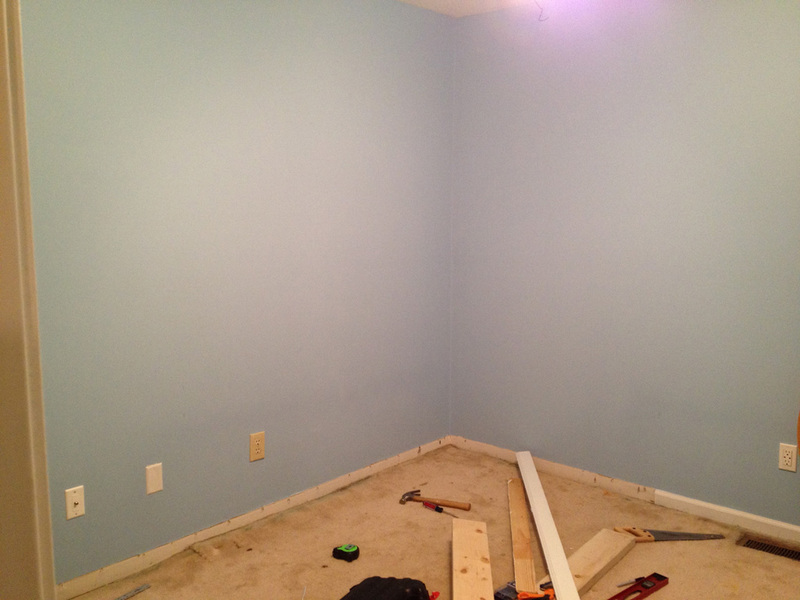 We removed the baseboard and began pulling back the carpet. 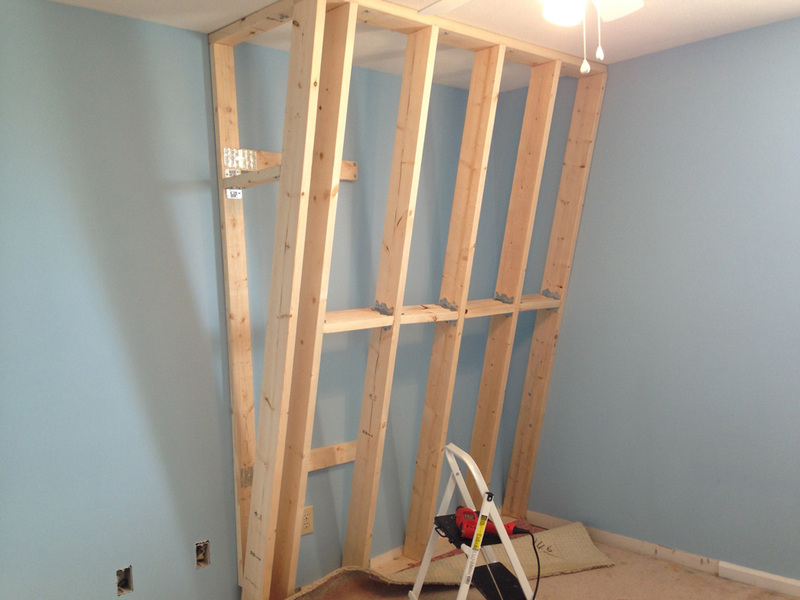 Then, I framed in the side wall and added support for middle of the angled section. 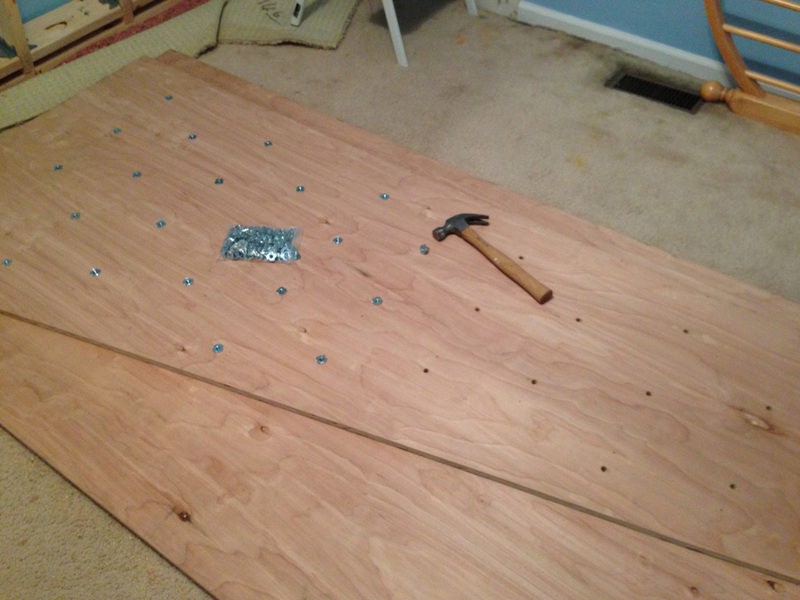 Once the 3/4″ plywood was cut, I drilled a staggered grid of holes and hammered t-nuts into the back of them. 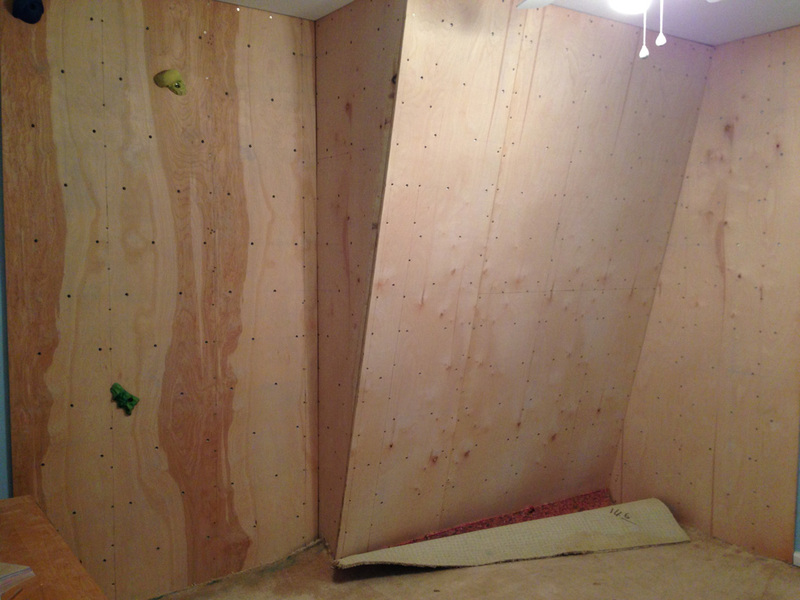 This is what the climbing holds will bolt into once the wall is complete. 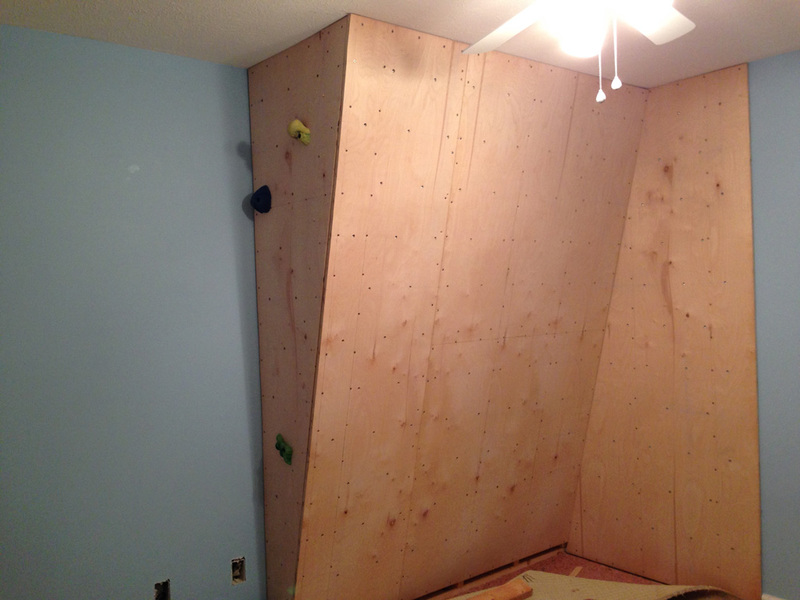 The plywood is going up and I’m using a couple of climbing holds to help move the boards into place before attaching them to the frame. 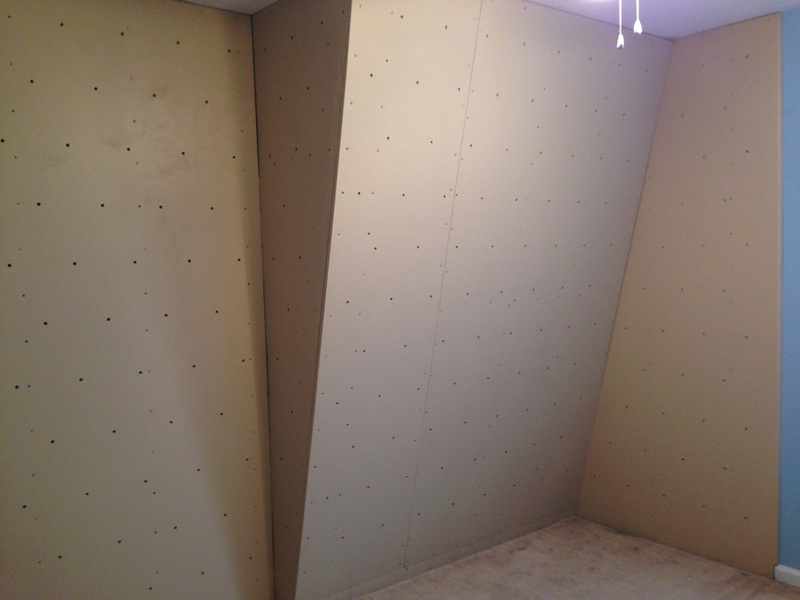 3 of the 4 walls are done. 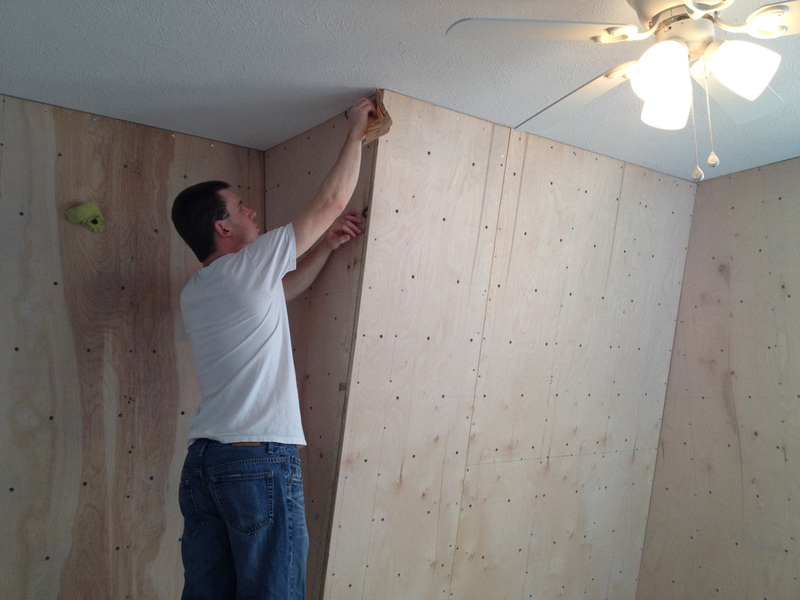 Then we sanded the outside corner so it wouldn’t be sharp. 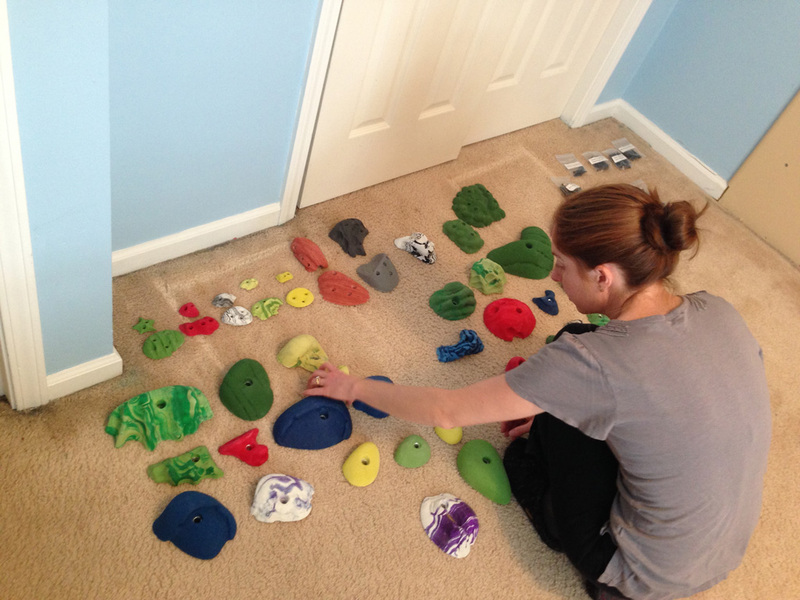 Kristine is sorting out our climbing holds so it will be easier to design our routes. 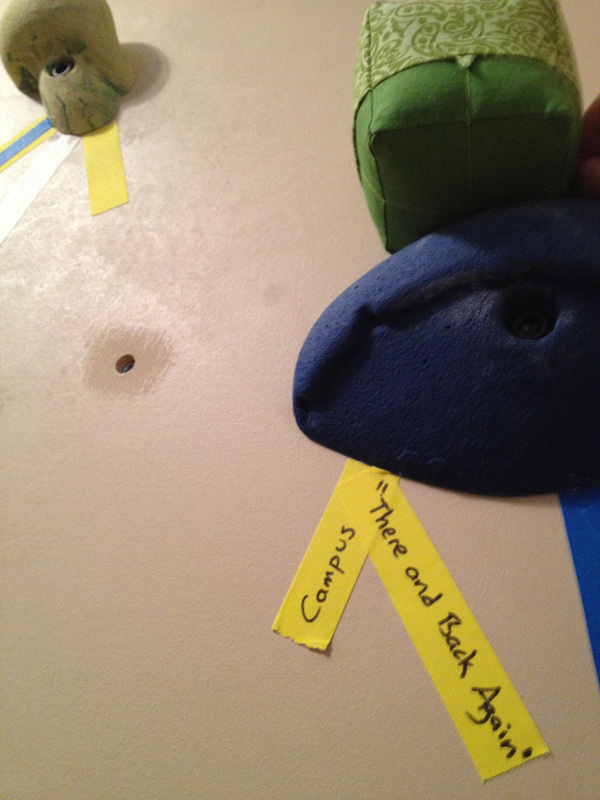 Testing out the first route. 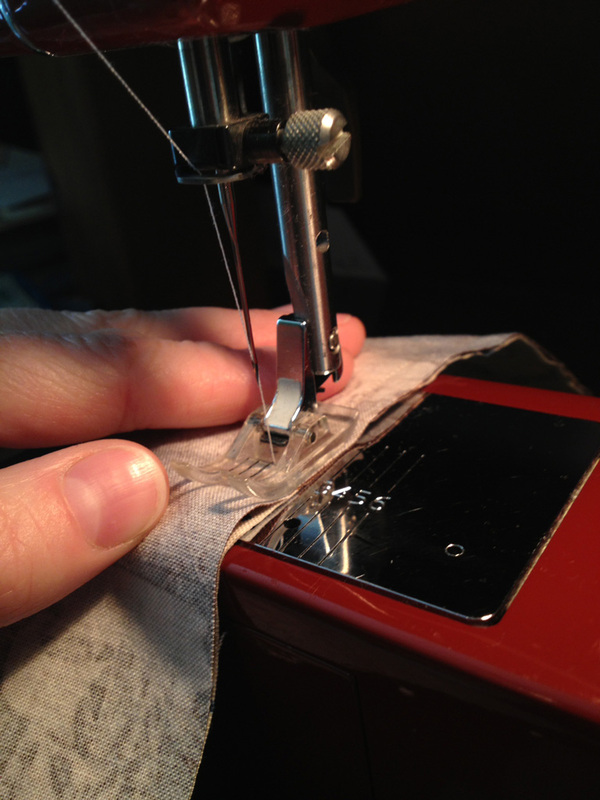 Placing route tape to designate what holds can be used for each route. 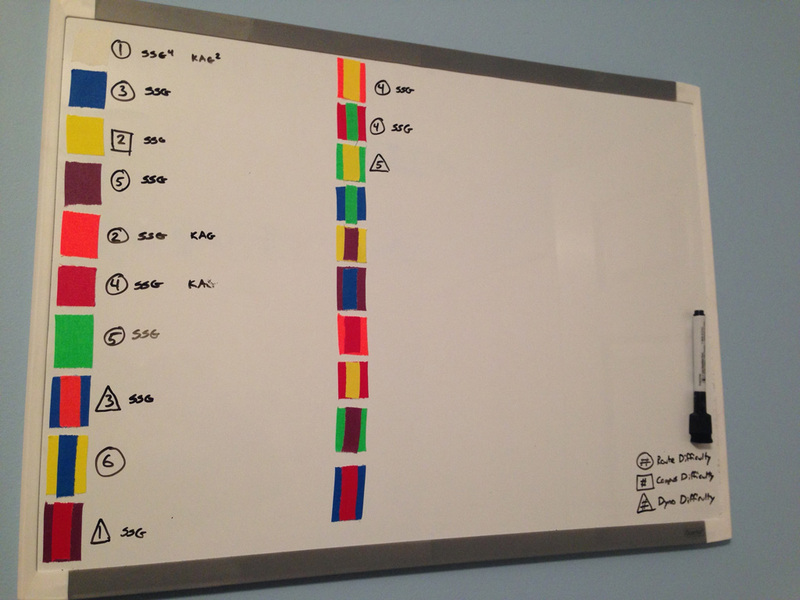 We added a marker board to rate the difficulty of each route and keep track of which ones we’ve completed. 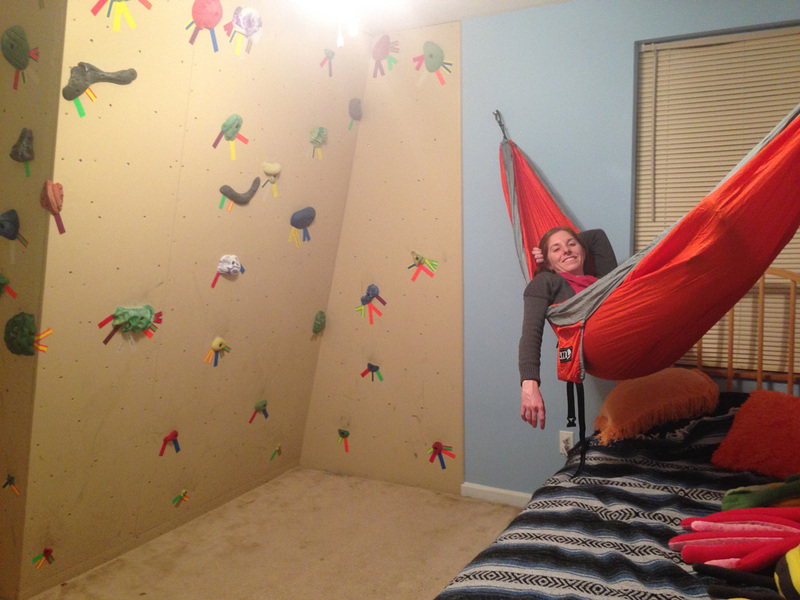 Several routes installed, and even a hammock to really give the room an outdoorsy feel. 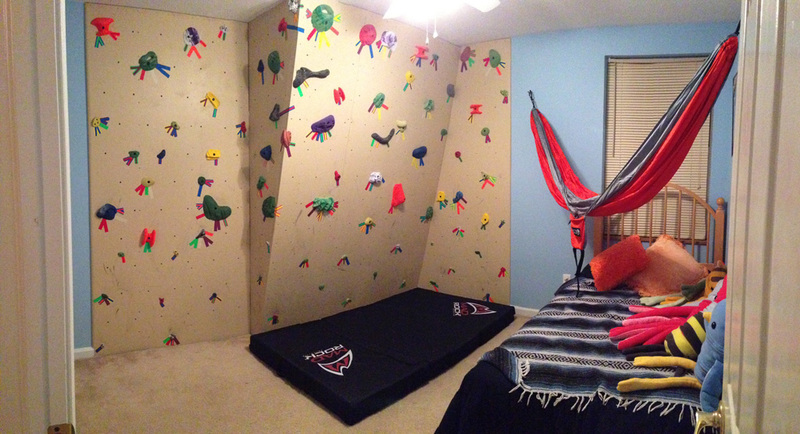 The wall is complete with 83 holds, 20 routes, and a crash pad. 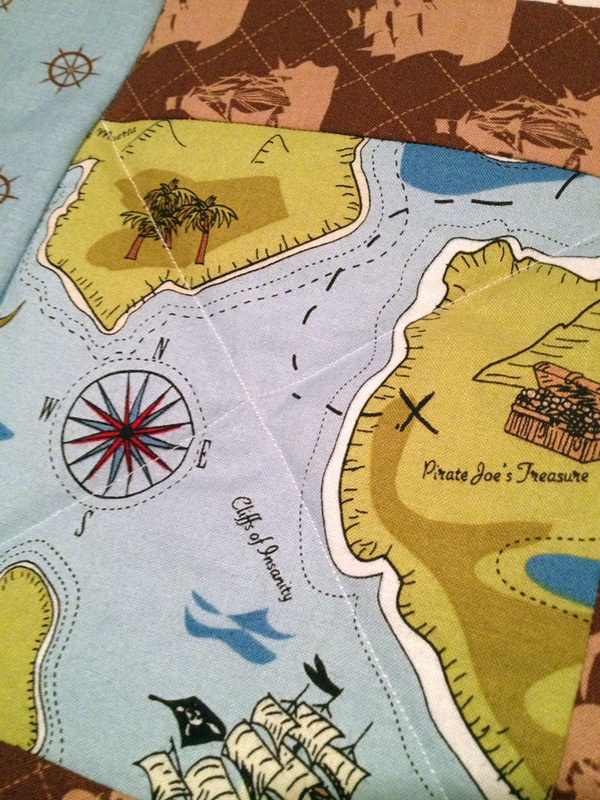 It’s a pirate-y quilt, matey! 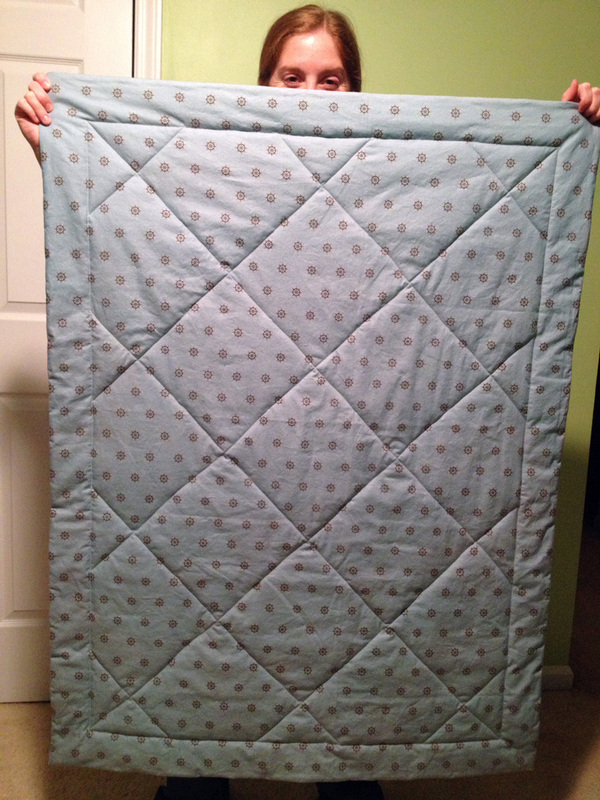 When we heard that some of our friends were having a boy this past spring I knew the quilt I made them would not be your average “cute baby boy” type quilt. 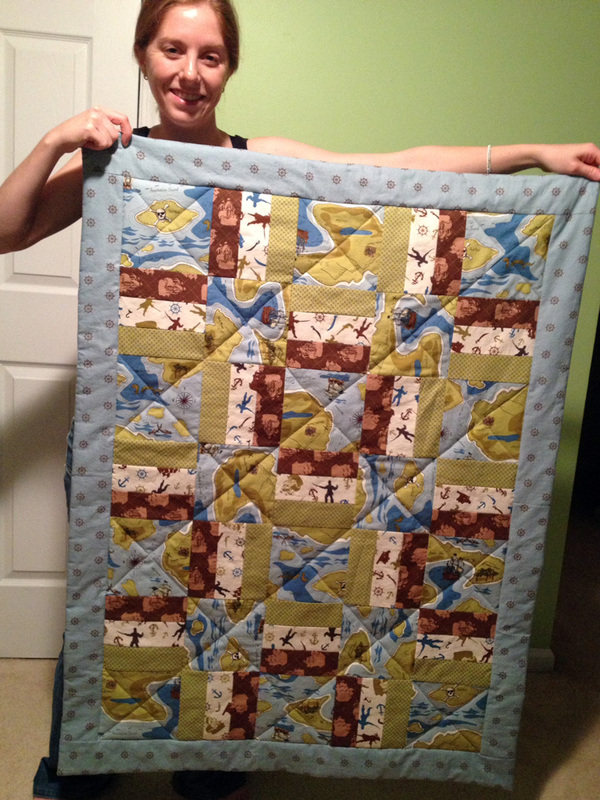 They love all things nerdy/geeky and their quilt would have to reflect that. 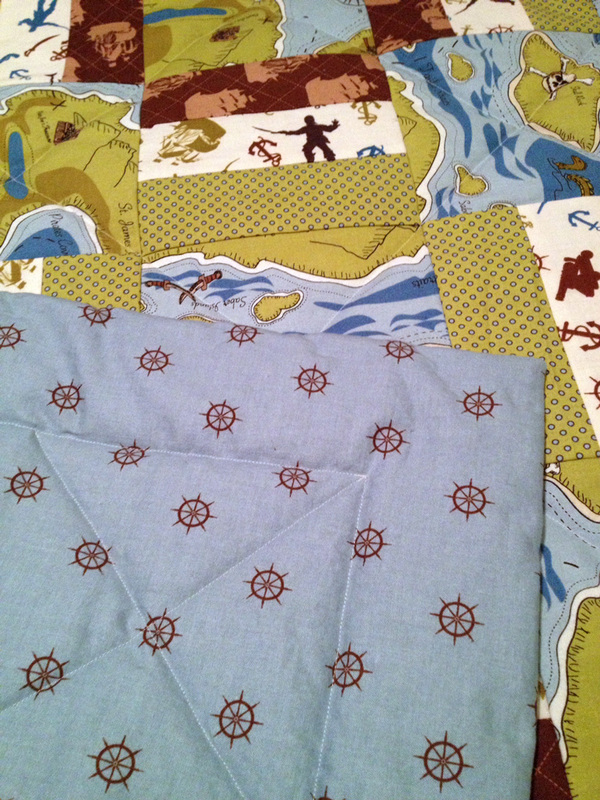 I ended up finding an adorable pirate fabric set by Riley Blake that I just knew they’d love. 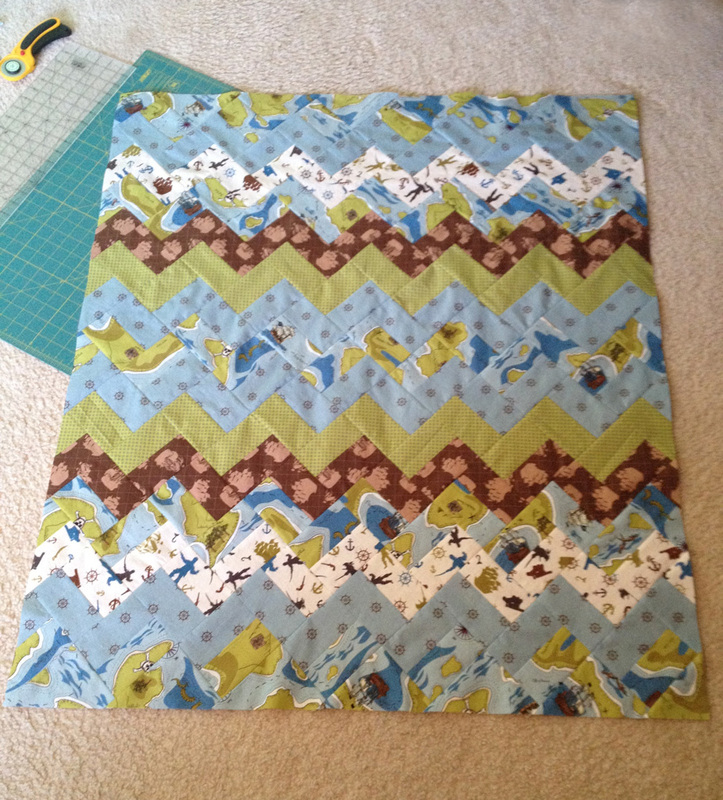 I used a strip quilting pattern I’ve used before. 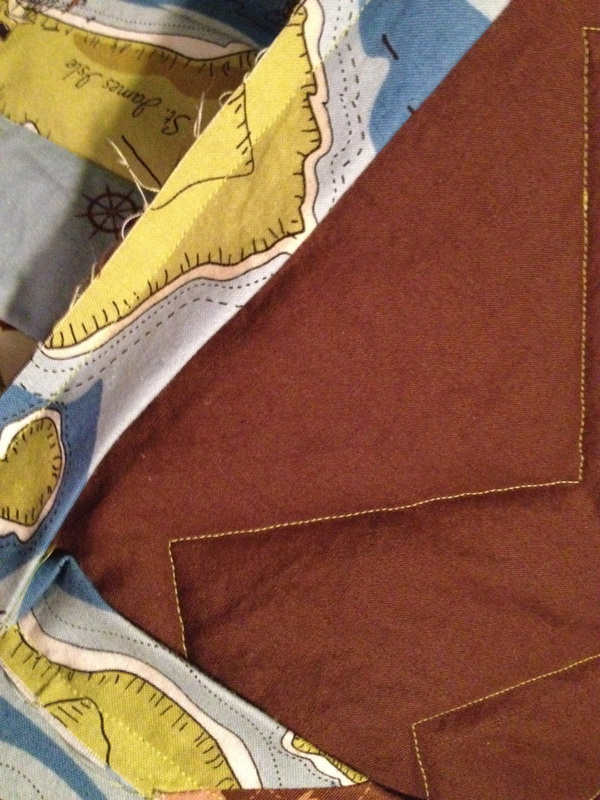 I love it because it goes together really quickly. 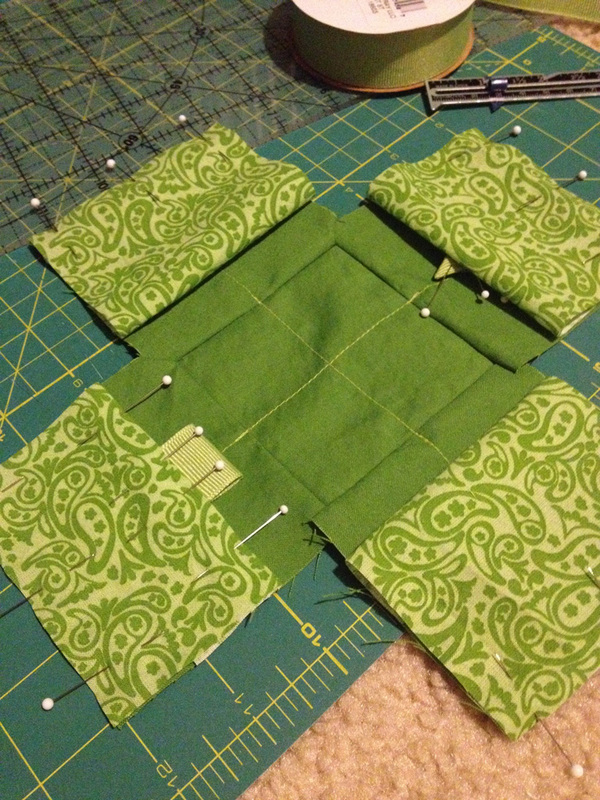 I played around with the “map” block placement a lot. 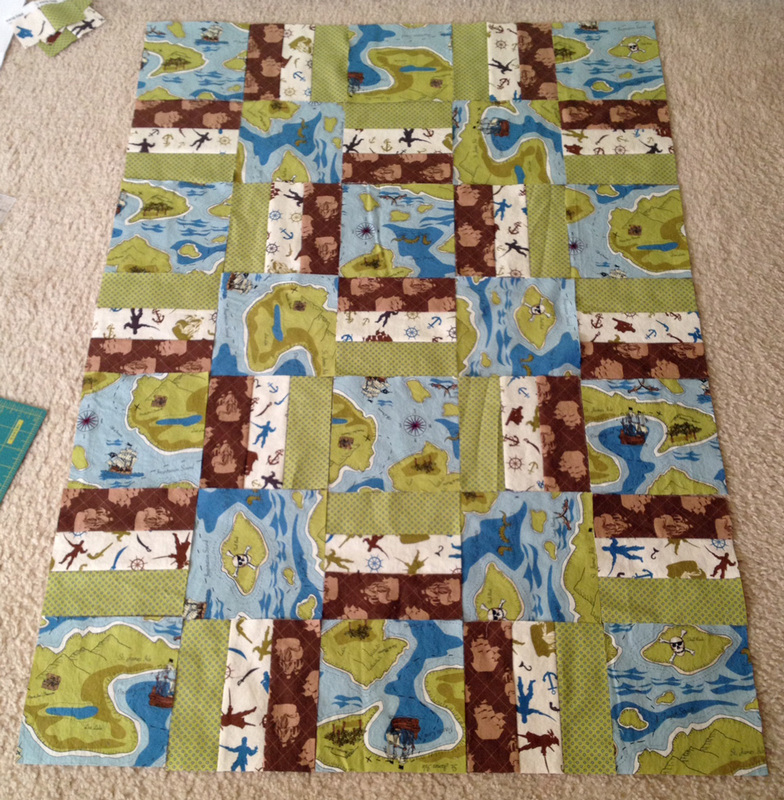 I wanted it to be multi-directional, and have the land and sea sections balanced so there wasn’t too much land or sea in any one section of the quilt. 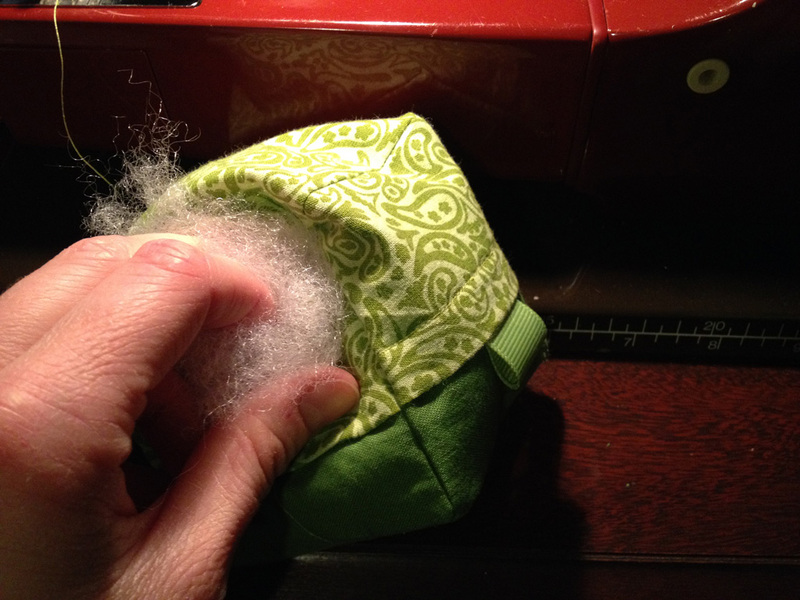 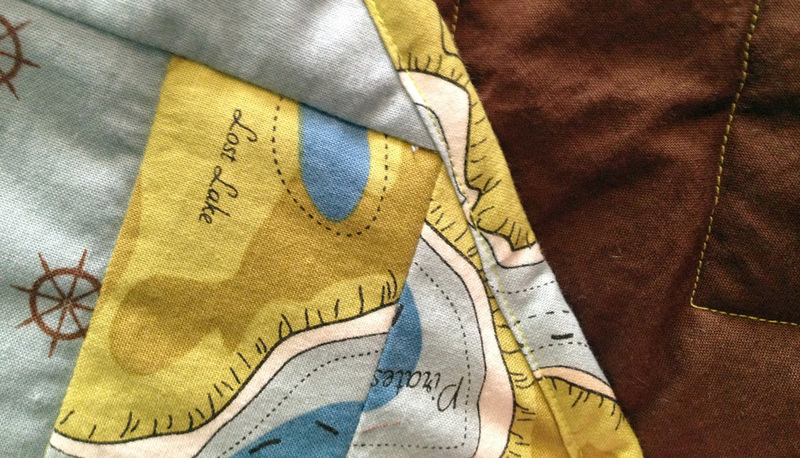 I quilted it diagonally across the map blocks (x marks the spot!). 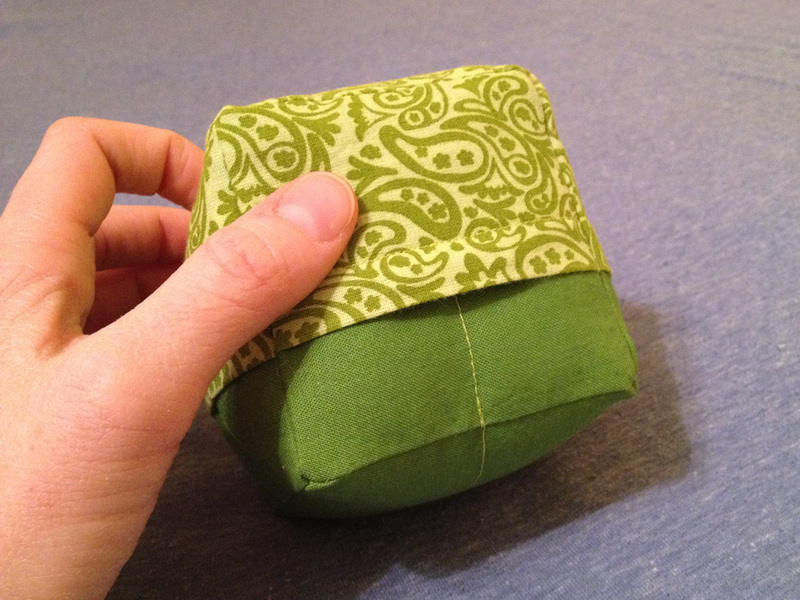 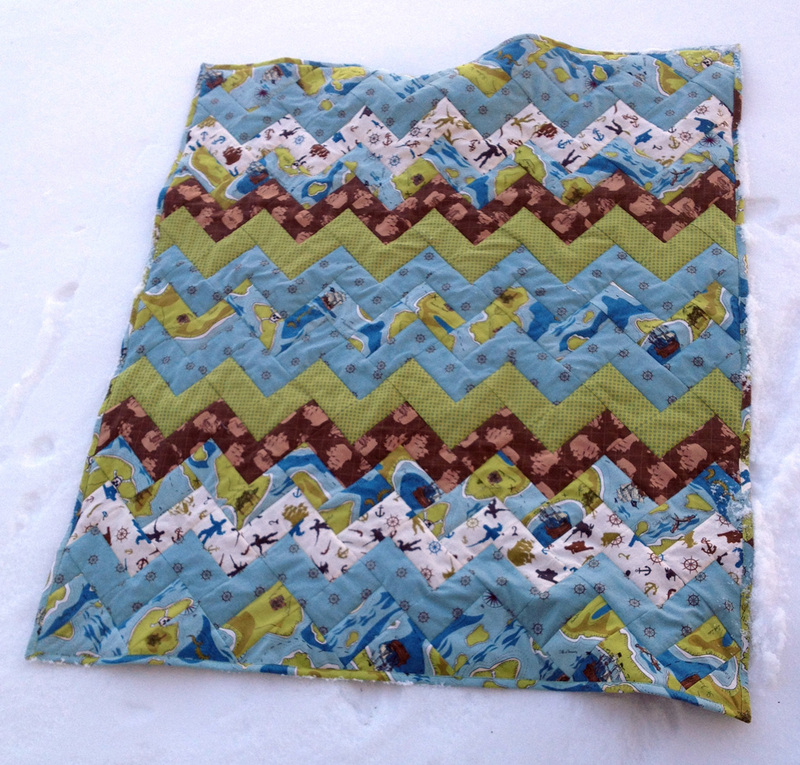 I finished it without a binding. 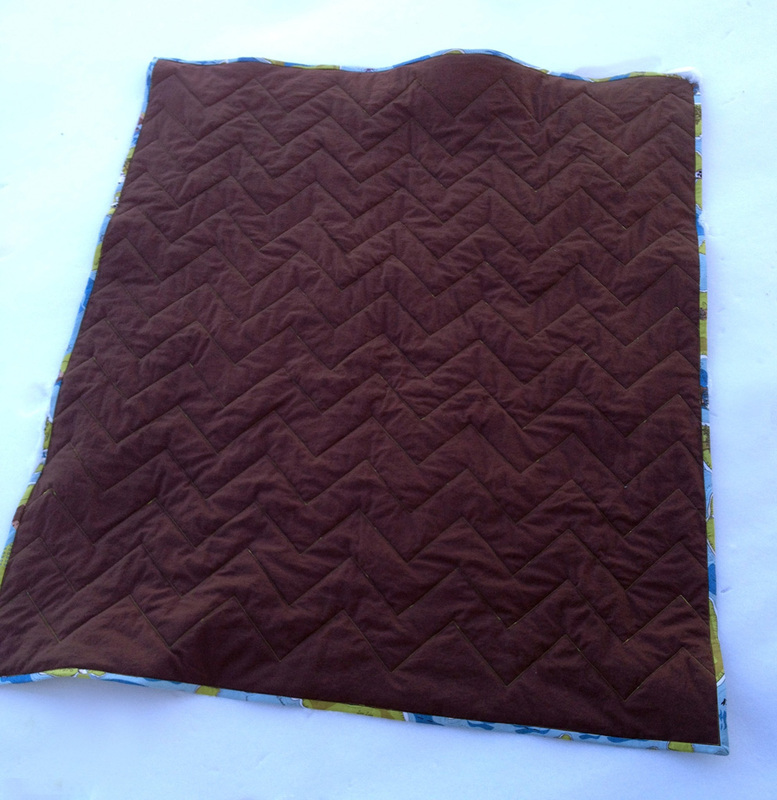 Here’s the finished quilt! 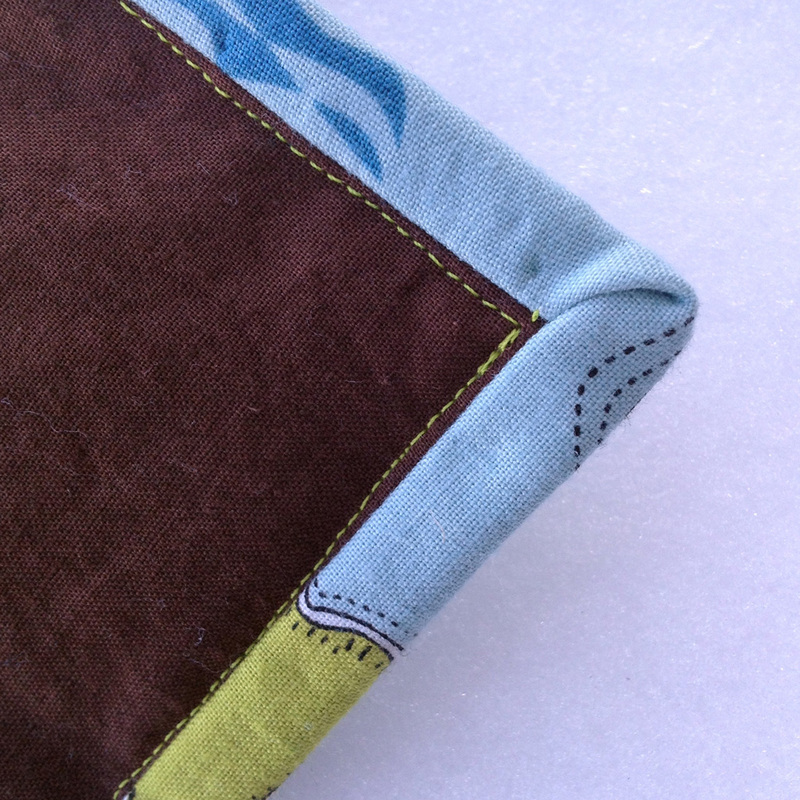 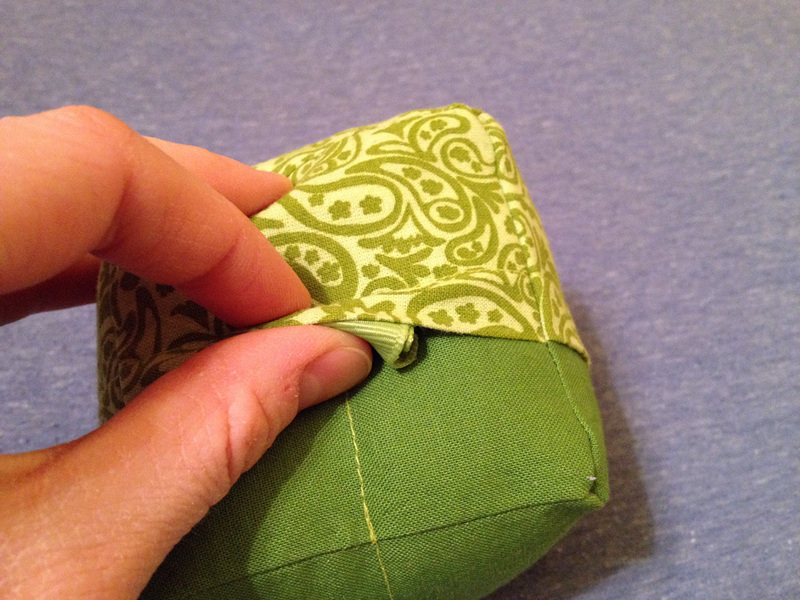 As you can see, I created a border using the backing fabric. 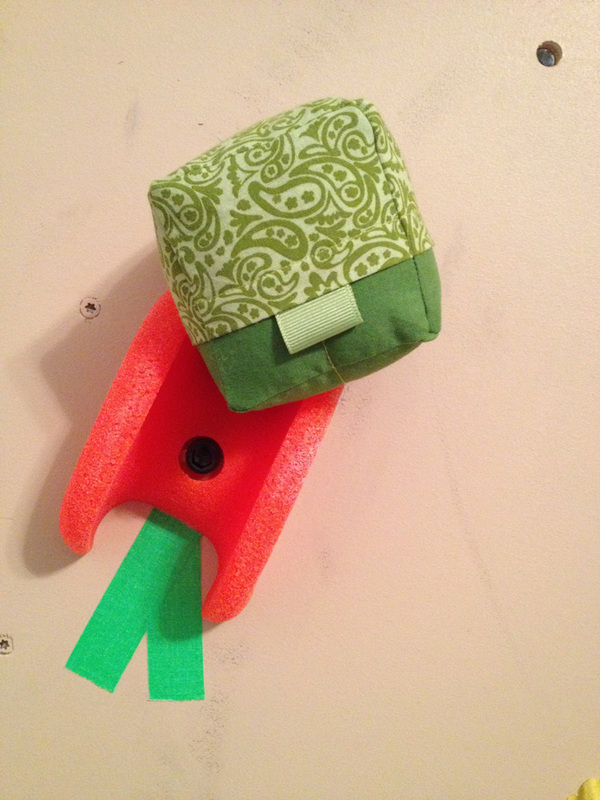 It ties the two together rather nicely, I think. 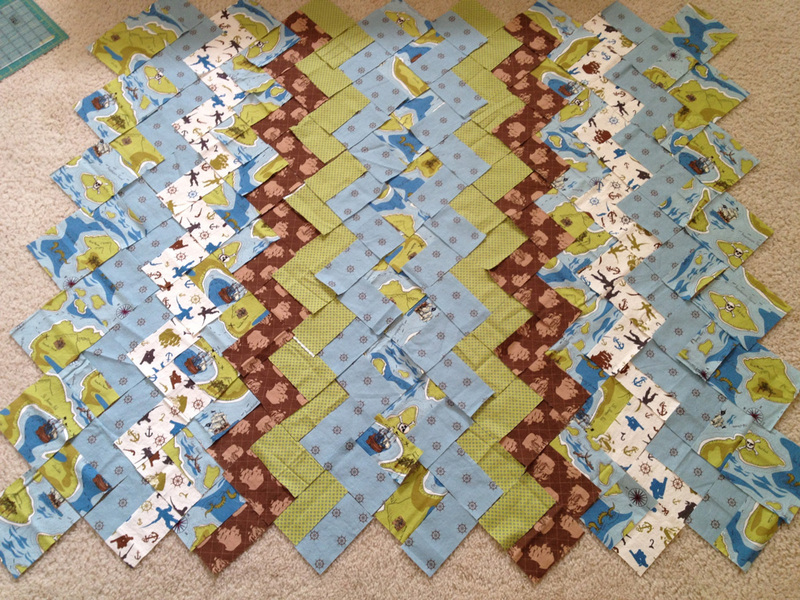 The mother of this family just started a blog called raising little dragonslayers where she writes “mostly about the things that have the majority of my time, attention, and interest: parenting my two kids, general geekery, and the relationship between the two.” Check it out! 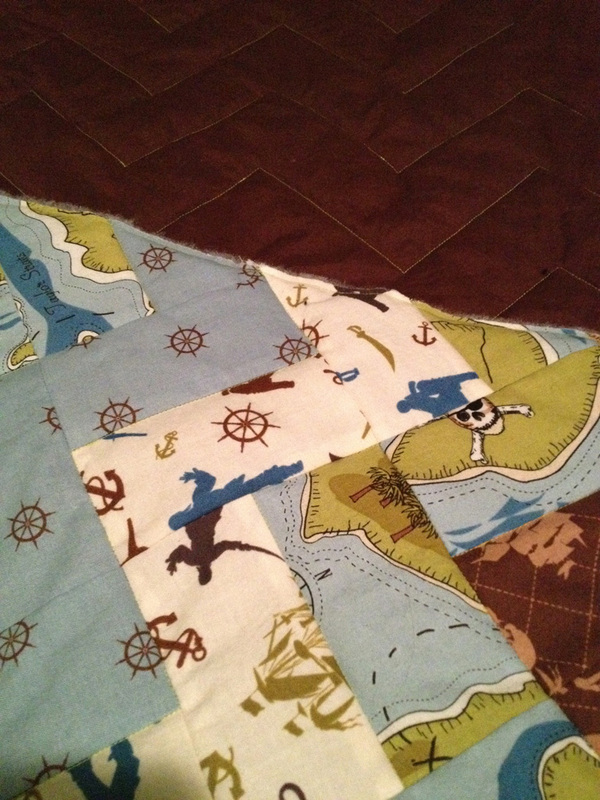 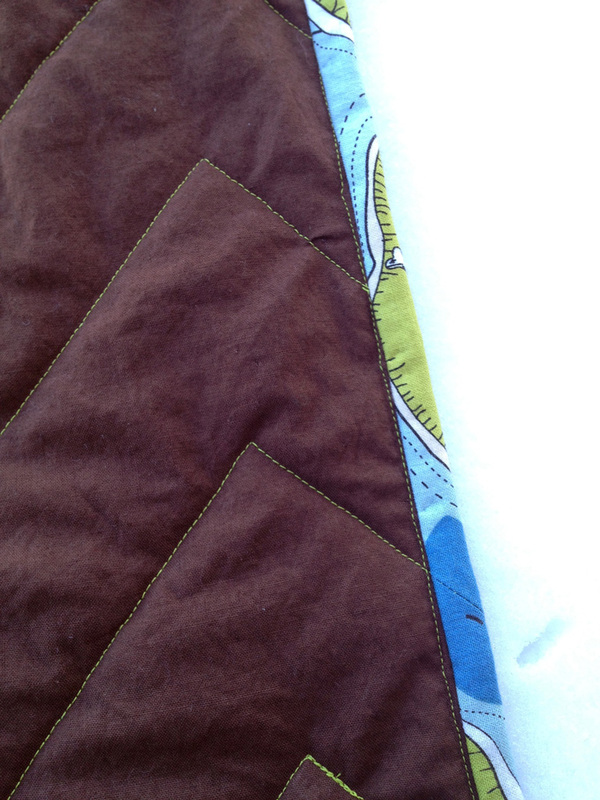 Also check out the chevron pirate quilt I made from the fabric I had leftover from making this quilt!